Colombia’s ELN rebels rejected President Ivan Duque‘s demand on Monday to end all illegal activity and challenged his credibility for allegedly failing to respect made agreements. The country’s last-standing guerrilla group released an editorial on its website in which it fiercely rejected the Duque administration’s newly imposed conditions to continue talks that began a year and a half ago under former President Juan Manuel Santos. When this government ignores agreements signed between the state and the insurgency, and denies that peace should be state policy so that it becomes stable and lasting, and on top of that invalidates itself as a valid negotiation partner that is able to make and respect agreements,.. what credibility would future signed agreements have? The ELN and Santos spent years negotiating the conditions for peace talks, and were negotiating a bilateral ceasefire that would obligate the ELN to end its illegal activity until the last day of Santos’ presidency. Duque said Monday in New York that peace talks while violence is ongoing are “non-viable.” The president and his hard-right Democratic Center party for years have opposed talks with the ELN and a peace deal with the much larger FARC. The guerrillas on the other hand insist that the new government respect agreements made by the previous government on behalf of the state, and insist on negotiating a way out of the armed conflict, and the illegal activities the guerrillas finance their war with. According to the guerrillas, Duque ignores the fact that the ELN is an insurgent group that has fought the state and will only abide to its laws until after a negotiated agreement. 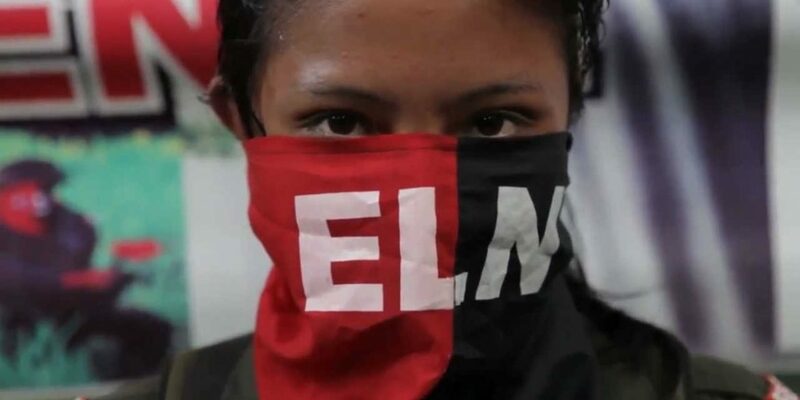 The ELN is an insurgent force and is not obligated to comply with the laws of the Colombian State until there is an agreement to definitively overcome the conflict, where both parties feel satisfied with what has been agreed. A peace process is not subject to unilateral impositions; it obligates only to what is built on the basis of agreements. The guerrillas claim the current administration is violating the agreements made with the state by insisting it can unilaterally impose new conditions on the talks that began in February last year after years of informal negotiations. The United Nations and foreign sponsor countries have urged both parties to continue negotiations and prevent an escalation of armed conflict that has already left 260,000 Colombians dead. Unlike in previous years, the ELN appears to have been holding back on high-profile attacks. The guerrillas have taken advantage of a power vacuum left by state security forces after the demobilization of the FARC last year and have considerably expanded territory under their control. Duque’s position to not resume the peace talks can count on little support, both nationally and internationally. Some 70% of Colombians want their president to negotiate an end out of the half-a-century armed conflict, according to pollster Gallup. Many in the international community, with the exception of the United States, have insisted that peace talks are the only way out of the drug-fueled conflict that has devastated Colombia for decades.